of marine life not often found coexisting. Gray's Reef, located 40 miles south of historic Savannah, Ga., is home to such a diversity and abundance of marine life that it is protected as a national marine sanctuary. Visitors are consistently amazed by the unexpected explosion of life they encounter there. Bathed in rich waters whose temperatures range from the low 50s to the high 80s (°F), the sanctuary is a great destination for macro photography. The reef's mix of temperate and subtropical species is a product of its location in the middle of the tropical-temperate transition zone. The result is a colorful community of marine life not often found coexisting. Bottom depths at Gray's Reef range from 55-75 feet. As you reach the seafloor you enter a realm of octopuses, basket stars, scallops, helmet conchs, Florida horse conchs and a variety of soft corals. The reef's complex bottom provides hiding places and hunting grounds for an abundance of fish. At times there are so many fish it can be dizzying. The visual chaos of a giant school of scad can be enough to make you look down at the sea floor to stop your head from spinning with all the motion. In spring and early summer, the water column is bursting with babies such as barracuda, tomtate and sea bass — and this, of course, attracts the bigger fish. Although it encompasses only 22 square miles, the sanctuary hosts a surprising number of shark species, including scalloped hammerhead, nurse, bull, white, tiger, sandbar and lemon sharks. Divers also encounter large stingrays and cobia as well as manta rays and sea turtles. Sea turtles like to use ledges at Gray's Reef as a sort of turtle garage: They hunker down head first under an overhang, so all you see are their backsides sticking out. Visits by pods of bottlenose dolphins are rare but wonderful treats. These encounters are always brief — just a quick fly-by to see what we are up to — but memorable. When the visibility declines (15-foot visibility is not uncommon), you'll want to examine the reef up close. Sea spiders and nudibranchs can be found crawling around everywhere you look. Brightly colored tunicates make for a vivid backdrop. It is easy to spend an entire dive within a 20-foot area, observing the various inhabitants of a small slice of the reef. As superintendent of Gray's Reef National Marine Sanctuary, I almost always collect data on my dives on the reef. We monitor the organisms found there so we can keep track of the health of the community and take action if something is amiss. On one particularly memorable dive, my buddy and I were identifying and counting fish and taking measurements of the habitat. My job required looking down a lot, so at first I noticed a huge shadow suddenly cast upon the seafloor. Looking up I saw the largest manta ray I have ever seen in my life — it had to be 15 feet across. I would not have believed mantas could get that big had I not seen it for myself. Giddy with excitement, I exchanged looks of disbelief with my buddy, who was also awestruck by the sight. Needless to say, the science was temporarily forgotten while we admired this majestic creature. It seemed to enjoy hovering right above us, letting our bubbles bounce across its belly. It stayed with us for probably 10 minutes, flying past and above us with entrancing grace. A black sea bass perches among Gray’s Reef’s vibrant sponges and soft corals. A dive on the reef does not end when you leave the bottom: More entertaining and fascinating marine life awaits you on your way up. It is not uncommon for a school of amberjack to follow you off the bottom, circling tightly. Or you may encounter a giant school of Atlantic spadefish as you make your way to the surface. They too like to swim in circles around divers, providing an enjoyable distraction while you make your safety stop. More than 200 species of fish have been documented in the sanctuary, which makes Gray's Reef popular among anglers. Recently, another species of fish was added to the list: Invasive lionfish, though still relatively uncommon, can now be found on the reef. These fish, native to the Indo-Pacific, were first spotted on Gray's Reef in 2007. That year it was just one fish, and another wasn't seen until 2012. Since then divers have spotted them on occasion, but not in the numbers reported at sites further offshore of Georgia in waters bathed by the warm Gulf Stream. We had hoped Gray's Reef's cooler temperatures during the winter would provide some protection from a full-on lionfish invasion. In January 2016, however, our team was recovering research instruments and observed two very small lionfish on the reef even though the water temperature was in the 50s°F. Gray's Reef has many jellyfish, and I particularly like to watch for sea nettles — not for the obvious reason of avoiding their stinging tentacles but to see if I can spot a shrimp hitching a ride on the bell or a school of juvenile fish swimming among the tentacles. This appears to be a dangerous business, but I guess being amid the tentacles is less dangerous than swimming alone in the open ocean. Interestingly, the jellies often congregate at different depths; on one dive the "jelly layer" might be at the surface, while on another you don't encounter them until you are at the bottom. Diving Gray's Reef National Marine Sanctuary is full of surprises, which begin as you descend and continue until you are all the way back to the surface. After diving, you can share stories of your adventures and admire your beautiful photographs in one of the many excellent watering holes of Savannah. Gray’s Reef is home to a variety of invertebrates including gorgonians, sponges, corals and more. Gray's Reef National Marine Sanctuary is a national treasure. National marine sanctuaries encompass more than 170,000 square miles of marine and Great Lakes waters from Washington state to the Florida Keys and from Lake Huron to American Samoa. Sanctuaries seek to preserve the extraordinary scenic beauty, biodiversity, historical connections and economic productivity of our most precious underwater treasures. Getting There: Numerous boat ramps and marinas along the Georgia coast (coastalgadnr.org/node/2100) can be used to access the sanctuary, which is located 16 miles due east of Sapelo Island. Navigating Georgia's waterways can be challenging; tidal swings of 8-10 feet are common, so study your charts, and gather local knowledge. There are no regularly scheduled dive charters to Gray's Reef. Contact local dive operators to find a charter or request a dive trip. If diving from a personal boat, be sure to bring a proper marker buoy and dive flag. Spearfishing and anchoring are prohibited within Gray's Reef. The southern third of the sanctuary is a designated research area where diving and fishing are not permitted. Live boating is the only way to dive the reef as there are no mooring buoys within the sanctuary. Divers should have a line reel and inflatable surface marker buoy to mark their location during ascent. The vessel operator should be proficient in deploying, monitoring and recovering divers while live boating. Conditions: Wave action, currents and limited visibility are common at Gray's Reef. For optimal conditions, ask the dive operator to provide suggestions on the best time of year and moon phase to schedule trips. Bottom depths average 60-70 feet depending on the tidal stage. The water temperature can dip into the 50s°F in the winter, while during the summer it is well into the 80s°F. 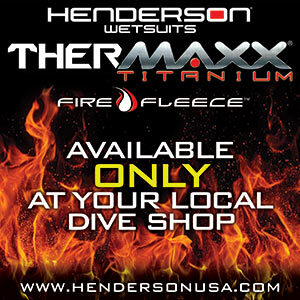 Even though summer diving conditions are warm, wetsuits are recommended due to the occasional jellyfish. Visibility can be unpredictable: The average tends to be 15-25 feet, with extremes from 5 feet or less to greater than 50 feet. The only permanent figure at GRNMS is data buoy 41008, which provides near real-time meteorological and oceanographic data. This buoy data can also be accessed online at ndbc.noaa.gov/station_page.php?station=41008 and on certain chartplotters equipped with weather service. Watch the video to learn more about Gray's Reef National Marine Sanctuary.